If you’ve ever listened to “Hotel California” and marveled at the incredible guitar solos, you have heard the genius of Joe Walsh and Don Felder improvising together on the iconic 1976 recording. But while Walsh’s time with the Eagles was his longest stint with any one band, his musical career started much earlier. Joseph Fidler Walsh was born November 20, 1947, in Wichita, Kansas. His mother was a classical pianist who filled their home with music. After his father died in a plane crash, Walsh kept his memory alive by taking his father’s name as his middle name. Walsh’s family moved around frequently when he was young, landing in such places as Chicago, New York City and Montclair, New Jersey, where he played oboe in high school. Finally ending up in Ohio in his late teens, he attended Kent State University for a short time. He was there at the time of the Kent State Massacre; that and other events prompted him to leave college and focus on music. Walsh soon joined a garage band called The Measles, singing such tunes as “And It’s True” and “I Find I Think of You” as the lead vocalist. Early in 1968, Walsh auditioned for and got a gig with a four-piece Ohio rock band named James Gang. At a show in Detroit at the Grande Ballroom opening for Eric Clapton’s Cream, the other James Gang guitar player missed the gig.The three-piece James Gang took the stage and impressed Mark Barger, a local artist manager who connected the band with ABC Records staff producer Bill Szymczyk. That started a long collaboration between Walsh and Szymczyk, who worked with Walsh on James Gang’s hits “Walk Away” and “Funk #49. Shortly after the release of James Gang Live at Carnegie Hall, though, Walsh left the band and headed to Colorado. In 1971, Walsh moved to an old mining town in Colorado. He helped organize a new studio near Nederland, and made a deal to record there for almost nothing (it later became the iconic Caribou Ranch Studio). Using revolutionary guitar sounds and recording techniques, including running his guitar through a Leslie organ speaker, Walsh joined with legendary drummer and multi-instrumentalist Joe Vitale and bassist Kenny Passarelli to form Barnstorm. Their 1973 second album under the name Joe Walsh and Barnstorm was titled The Smoker You Drink The Player You Get; it contained the song “Rocky Mountain Way,” which reached #23 on the US Top 40 chart. (Szymczyk worked on that, too.) Some of the other hits recorded and released by Barnstorm include “Mother Says” and “Here We Go.” At Caribou Studios, Walsh also produced Dan Fogelberg’s Souvenirs album, bringing in Graham Nash to sing harmony vocals on “Part of the Plan,” which reached #17 on the 1975 Billboard album chart. Walsh and his wife, Stefany, had a daughter, Emma, in 1971. When she was three years old, Emma was injured in a car wreck as they were taking her to nursery school, and she eventually passed away from her injuries. The tragedy prompted Walsh to write “Song for Emma,” which he included on his So What album. The title for that album reflected Walsh’s depression over the loss of his daughter. A memorial plaque honoring Emma sits next to a water fountain in North Boulder Park in Boulder, Colorado. After his years in Colorado, Walsh joined the Eagles when founding member Bernie Leadon left the band in 1975. During his many years with the Eagles, he recorded such hits as “Hotel California,” “I Can’t Tell You Why” and “Life in the Fast Lane,” built off of a Walsh guitar riff. Walsh toured with the band until its first breakup in 1980, then rejoined the Eagles in 1994 when the band returned for the “Long Run” era. Though the Eagles were a huge success, Walsh also produced solo albums during this time. In 1978, his solo Life’s Been Good reached #12 on the US Billboard Hot 100. Other hits during his solo career included “All Night Long,” “Ordinary Average Guy” and “A Life of Illusion.” Along the way, Walsh made many guest appearances. He appeared on Sonic Highways, the Foo Fighters’ eighth album, and also played a Colorado-inspired “Rocky Mountain Way” on The Voice with Laith Al-Saadi in 2016. In 1998, the Eagles were inducted into the Rock and Roll Hall of Fame. In 2011, Rolling Stone named Joe Walsh one of the “100 Greatest Guitarists of All Time,” recognizing his incredible music career. 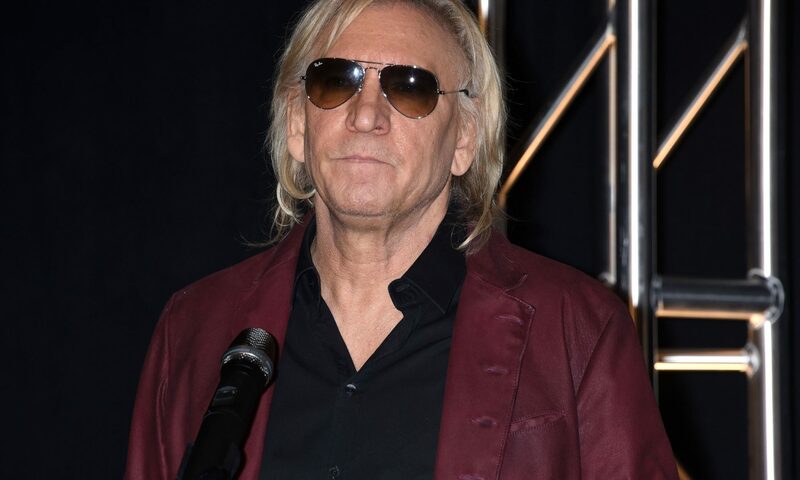 To learn more about Joe Walsh’s “Rocky Mountain Way” and to find out when he’ll be in Colorado next, check the Colorado Music Hall of Fame calendar.